It is free from S and aromatic compounds. It is biodegradable and it is nontoxic. 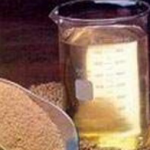 Its cetane number ranges from 45 to 63 depending on the type of vegetable oil used for preparation. Its density is in the range of 0.86 to 0.88. Its cloud point is in the range of + 10 to + 13 C.
Its kinematic viscosity is in the range of 3.6 to 5.7 at 37.8 C.
It can be prepared from renewable resources. 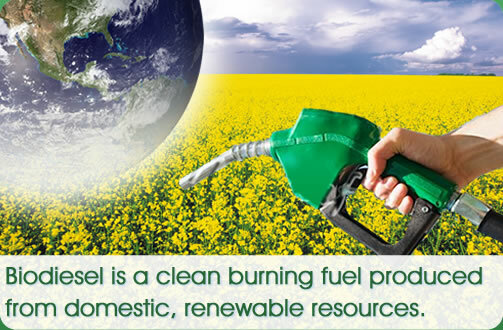 The amount of fuel gas obtain by burning of biodiesel is comparatively less than the fuel gas obtained from petroleum diesel. On burning it does not rise the level of CO2 in the environment e.g. not responsible for greenhouse effect. This is because the organic carbon present I biodiesel is formed by photosynthesis reaction. When petroleum diesel is blended with 20% biodiesel, it gives the best performance in diesel engine with less smoke formation.